After Mansfield ISD’s University Interscholastic League (UIL) Academic Tournament this past weekend, three teams came out on top. Dozens of MISD students on the elementary, intermediate and middle school level competed in several categories, ranging from reading and math to music and chess. In the elementary category, Elizabeth Smith Elementary School earned the first place trophy for the fifth year in a row. Cora Spencer Elementary came in second place, followed by Roberta Tipps Elementary. Asa Low Intermediate School clenched the top spot for the intermediate category. Cross Timbers Intermediate was second, and Della Icenhower Intermediate placed third. Among middle schools, Brooks Wester Middle School received the most points. Linda Jobe Middle won second place, and the Jerry Knight STEM Academy was third place. 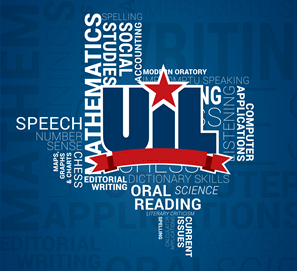 According to the UIL, participation in UIL academic contests help students develop oral language and communication skills, become independent readers and writers, develop conceptual understanding, learn to solve problems and apply knowledge to all facets of their lives. Congratulations to the winning teams and all of the students and campus coordinators who dedicated themselves to making this event a success.